Over the next three years, our great state is celebrating its Bicentennial. 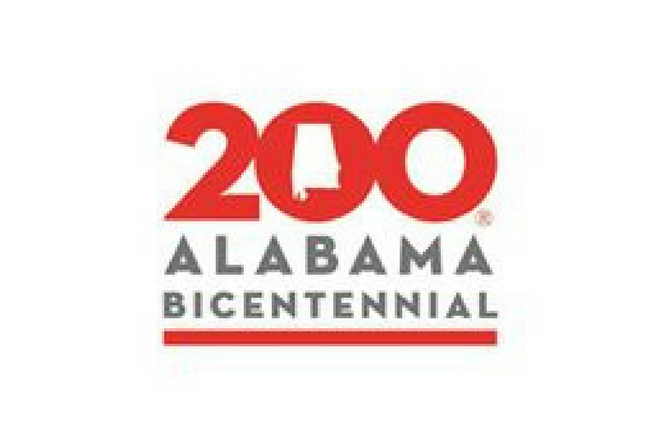 The Alabama Bicentennial Commission was established a few years ago to promote a three year program to educate and entertain our residents and visitors telling the story of Alabama over our 200 years as a state. The actual Bicentennial year is 2019, but events statewide began this year to support an ongoing awareness for schools K-12 and university level academia. There will be multiple books and education content released over the three year period to inform and educate. 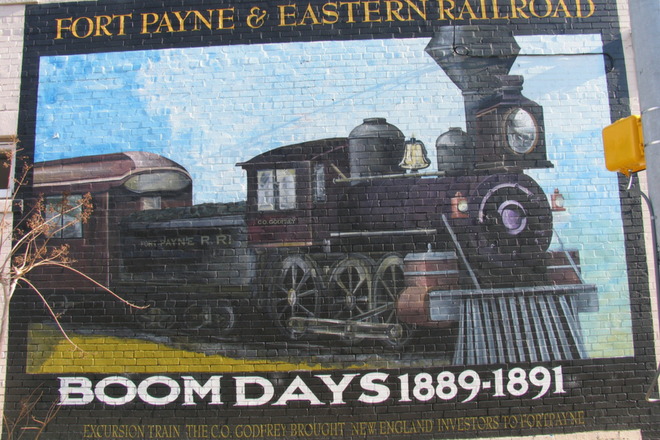 In Fort Payne, we are having our first Alabama 200 celebration as a part of our Boom Days Heritage Celebration. We will be at the middle room of the Coal and Iron building all day Saturday, September 16th. We will have live music from Matt Downer. He will be singing folk songs of historic content. We will have a table with Bicentennial information and some Landmarks of DeKalb books to look at. Landmarks of DeKalb, Inc. will have their traditional book sale in Hunt Hall the same day. 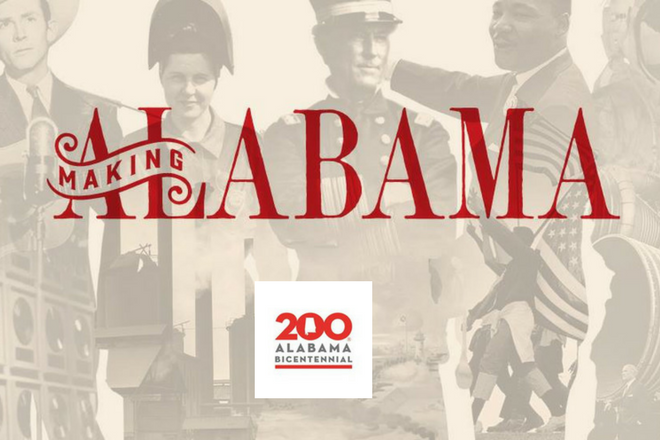 In June of 2019, we will feature a Smithsonian style traveling exhibit at the Coal and Iron building featuring the Alabama Bicentennial during its Bicentennial year. In fact, we have already secured our June date and will have it all month leading up to the official July statewide celebration of the actual Bicentennial month. 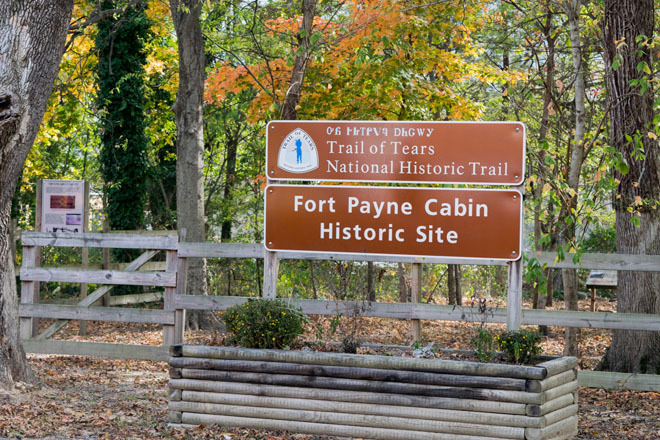 In the same room as the Bicentennial activity during Boom Days, DeKalb Tourism will also feature “Little River Canyon visits New York City”. You will be able to put on a set of 360 virtual reality goggles and view the stellar 360 video of Little River Canyon as viewed from the sky above. It is fantastic! You can have your picture taken in front of the 22 story skyscraper art featured at Madison Square Garden and you can have another picture taken in front of a Bicentennial logo to help remember your Alabama 200 experience. You will not want to miss Boom Days for a thousand reasons this year. 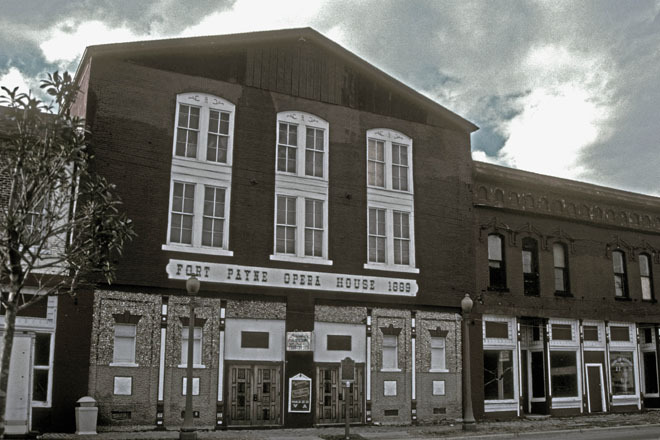 It promises to be our best ever and for the next three years we will have our Fort Payne, DeKalb County Bicentennial experience to go with all the other fun stuff. Come to the Coal and Iron building and spend some time celebrating our great Alabama history. To find our more information about Boom Days and the all star line up of events, check out our Boom Days Blog.